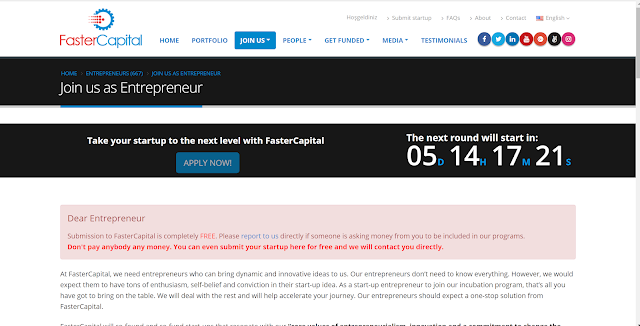 As a Regional Partner for FasterCapital.com I am excited that the next round of Startup Application processing will begin in just 5 days. Go to https://fastercapital.com/entrepreneur/joinus.html#questionnaire and you will see the following page. Just fill it out and that will get the process started. Contact me at mike.oliver@fastercapital.com or +639479927462 for more information or assistance. If you fill out the form please select Mike Oliver as your Regional Partner. Enterprise Resource Planning (ERP) is not just for large businesses any more. In the not so distant past, an Enterprise Resource Planning (ERP) system was so costly that only larger corporations could afford the price tag of Hundreds of Thousands of dollars to over a million when complete. Today, with Software as a Service (SaaS) versions of ERP solutions, the costs have gone way down. SaaS subscription services now offer prices that are affordable by even Small Businesses. Cloud technology has enabled drastic cost reductions and increased security. Open-source is software developed by a community of developers to meet their own needs, but as many of these are done by a team of very talented and motivated architects and developers, the quality of these Open-source ERP systems are as good or better than the proprietary systems. Sometimes the software started off as proprietary but decided to go open source to penetrate the market and get revenue from support and training instead of licenses. Sometimes the open-source versions are augmented by a more feature rich commercial version. Update - As a BPO that does Social Media Marketing and Sales as well as Social Media and Web Presence Management, I have a bias. However this is not a sales pitch for just O4BO.com I am talking about all the BPO companies here in the Philippines and why you should consider one of us. So What are the salient values a BPO in the Philippines have to offer? BTW Business Process Outsourcing (BPO) is one of the largest industries in the Philippines largely for the following reasons, and include call centers, help desks and many other forms of BPO. English - The Philippine Government long ago decided English would be the official language and is taught in all the schools. It is not uncommon to walk down a street of children playing and get a "Good Morning" from the kids (I am an American). So you can count on employees that are fluent in reading, writing and speaking English. Much better IMHO that other countries that will go unnamed but proclaim English Proficiency. Culture - The Philippine Culture is more Western than many others in the region and you can count on a good work ethic, sincere values and integrity. Enthusiasm - Filipinos are very active on social media and it shows in their work. I don't know offhand what the numbers are but I can tell you that of my 5000+ friends on Facebook and 4900+ LinkedIn Contacts, most are Filipinos. So Filipinos you can count on them getting it. We get notices from Facebook regularly that one of our ads performed better than 95% of similar ads on Facebook worldwide and we target Philippines for our Philippine clients. Collaboration - Given the popularity of Social Media, you can count on the collaboration on your projects to be managed on Social Media in Facebook Messenger Groups and you can count on rapid responses to both inputs and suggestions but your ads will get rapid responses. Cost - The cost of living in the Philippines is lower that many of the markets they address, that cost savings is passed on to clients to stay competitive. You can count on getting the best talent at a cost that is lower (sometimes significantly lower) than hiring someone with similar skills in the USA, UK or Australia. Core Business - BPO in general is all about outsourcing those Business Processes that are out of your core business. Social Media Marketing and Advertising is something that is Outsourced more and more often now and the skills around Web Sites, HTML5, Facebook, Google, LinkedIn, Pinterest, SnapChat, Instagram all require specific knowledge to be most effective. Just knowing how to post a picture o Instagram is not going to be effective. If you can outsource and get thousands of leads for less than the cost of one full time employee in your core business the decision should be clear, but consider that not having that skillset also means you take a chance on hiring anyone that they will be able to match the performance of a Philippine Outsourcing partner. Social media marketing, as mentioned earlier, is a big thing in business these days. Use it to boost your business and generate sales. Do well at it through the help of O4BO.com social media marketing services in the Philippines. Contact us now and we are ready to assist you in all your social media marketing needs. Labels: bpo, facebook, Facebook ads, Instagram, LinkedIn, o4bo, Philippines, pinterest, social media marketing and advertising. Here is the Faster Capital Overview in Tagalog. The OpenBravo Platform has a number of features that benefit users. Security is one of the most important of these and this video provides an overview of the Security elements OpenBravo includes in its platform.